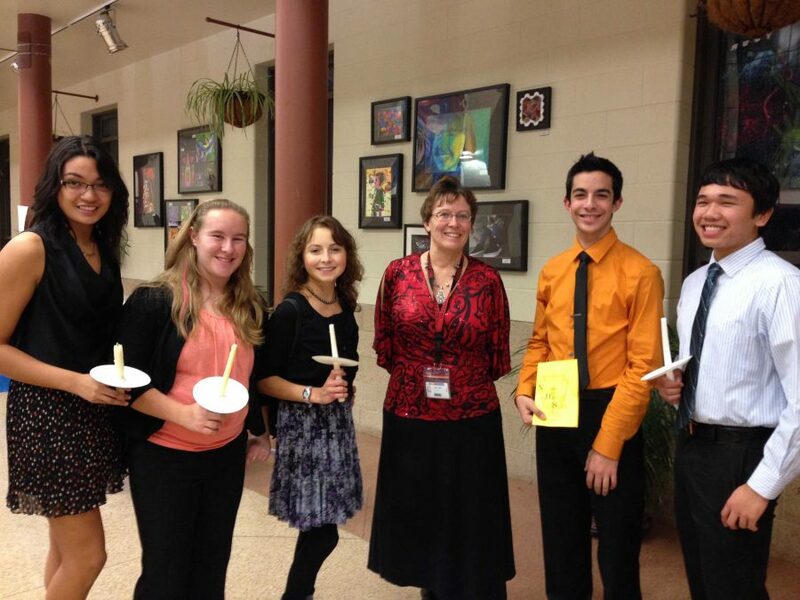 Inductees pass along the flame of knowledge (H. Baldacci). Today, Huntley High School’s National Honor Society welcomed its newest 82 members in a candlelight induction ceremony that focused on the four pillars of NHS leadership. The ceremony, which took place in the Performing Arts Center from 7 p.m. to 9 p.m., was led by first-year NHS sponsor Melanie Lyons, who took over after former sponsor Pat Stone stepped down last year. The 98 senior members of the society that were inducted last year also participated by introducing both themselves and the newest members with descriptions about their activity involvements and future plans. After speeches by second-year NHS members about the program’s four pillars, consisting of service, leadership, character, and scholarship, Huntley Principal Scott Rowe gave a speech that went even more in-depth about the main aspects of each of the pillars. Rowe also discussed how students can use their knowledge of the four pillars to inspire and act as examples for those around them. 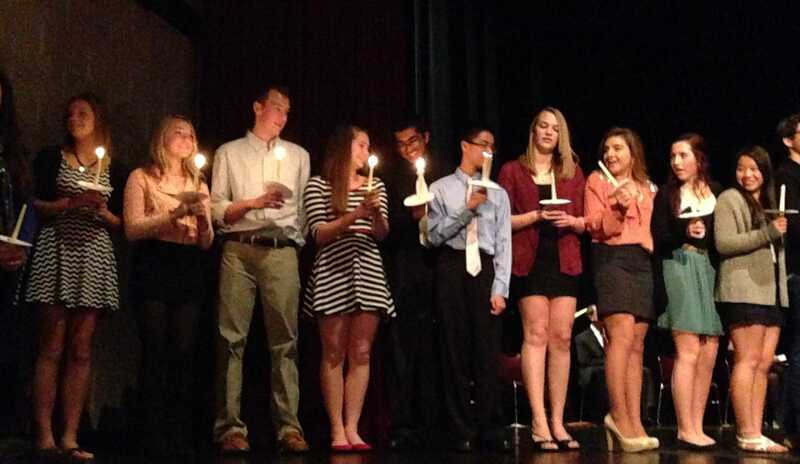 Inductees were then asked to recite the NHS pledge, and also received candles that second-year NHS volunteers lit to represent the spreading of the flame of knowledge. After the ceremony, students and their parents were welcome to enjoy a reception with cookies and punch. Unlike past years, there was no NHS council consisting of traditional roles like president and vice president, as the society is leaning more towards alternate leadership as the number of members continues to increase higher than ever before. Lyons believes that implementing a system of leadership teams would be the best way to bring service opportunities to the club, as managing nearly 200 members would be strenuous for just one president to handle. Second-year NHS members pose with Lyons before the ceremony. From left: Zoe Quezada, Michelle Caputi, Jessica Chalas, Melanie Lyons, Mitch Mollica, and Jordan Francisco (H. Baldacci). 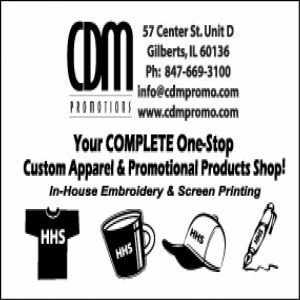 Another change was that this year marked the first time Huntley’s NHS went all electronic. New members were able to apply through their Haiku accounts and submit their essays in a Google doc. The two teacher recommendations required for each student were also found through links online. Requirements for NHS have remained the same, as each member is required to obtain 15 service hours per semester and attend meetings regularly. In previous years, students were only allowed to count four hours per service project towards their 15 hour total, but according to Lyons, there may be changes in the near future. “I think we may leave it that you need to have three or four activities that you’re involved in, but if a bulk of your hours come from Big Brother, Big Sister, that’s okay, as long as you have three or four other things that you do during the semester,” said Lyons. With the implementation of Haiku, communication within the society is easier than ever before, so many of these ideas can be debated through online discussion posts. For now, new members are focused on settling into their novel roles.